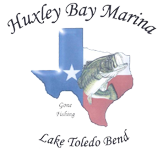 Make lasting memories with your friends and family at Huxley Bay Marina—a mom-and-pop style resort where you'll experience a pleasant, carefree vacation whether you are relaxing, catching fish, bird watching, or hunting. 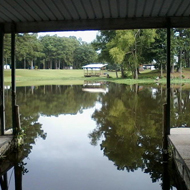 We are a boat marina on the Lake Toledo Bend that proudly offers fishing and vacationing accommodations for those traveling throughout Center, Texas. Guests who stay at our hotel or RV park have access to all-day dining, our boat launch, dry boat stalls, and fishing guides. We make sure your party is always having a wonderful time while staying with us! Whether you're looking for a place to dock your boat, grab a bite to eat, or learn how to catch an impressive looking bass, you'll find it all here at Huxley Bay Marina. Stay a night or a month, the choice is yours! We welcome guests and vacationers who want to dock their boats, park their RV, and stay the night at our hotel. Over the years, several fishermen have used our services to reel in an outstanding catch. Who knows? Maybe you'll be the next person to set a record at our marina! 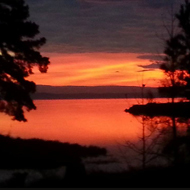 Your Lake Toledo Bend fishing trip will be the top of your "favorite vacation" list when you stay at Huxley Bay Marina. 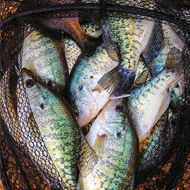 We are located in a protective cove on the northern end of the Toledo Bend Reservoir, with deepwater access to the lake even when the water level is low. We are just minutes from the river channel and the well-marked, main north/south boat lane. Our boat marina has everything you need to enjoy your stay in the Center, Texas, area. For more than 40 years, our marina and fishing lodge has served as the perfect vacation destination for fishermen and vacationers who are looking to relax and unwind. After taking over the business in 2014, we have made repairs and updates to expand our lovely accommodations. We also host hunting exhibitions for duck, deer, and fox hunting; and are the perfect location for birdwatching. Your needs are always met because we always have an owner or manager staying on the property to assist your needs. We are proud members of the Shelby County Chamber of Commerce and are always willing to provide for our community. Tuesday - Wednesday, 6 a.m. - 6 p.m.
Thursday - Sunday, 6 a.m. - 9 p.m.